Wolverine Bust Bank. Let one of the Marvel Universe's mightiest heroes guard your spare change! 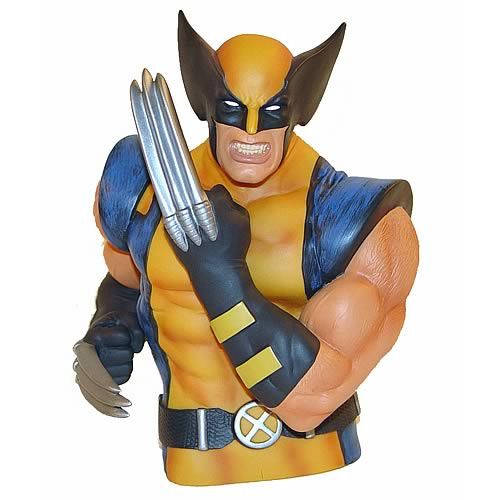 This Wolverine Bust Bank is the simplest savings account around, and it also doubles as a great collectible. Display it on your shelf, fill it with change, and watch your net worth grow! Order yours today! Measures 7 1/2-inches tall. Ages 4 and up.